Its name in the Basque language is actually Bilbo, and today we can confirm that this city next to the Spanish-French border has transformed itself by embracing art and gastronomy. Even though Bilbao is not culturally a historic city, it definitely has its soul. Not many cities have that great mixture of jewels of Art Nouveau, cultural and social life (the vast selection of bars and restaurants with modern Basque cuisine will leave you speechless). 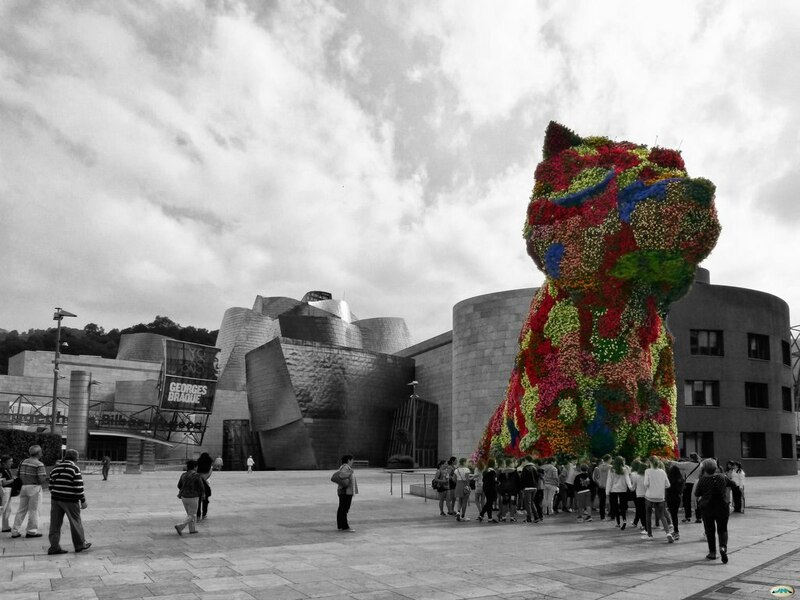 Whether you have decided to visit because of the pintxos or perhaps because you are following Frank Gehry's footsteps... Bilbao has all the good things to make you fall in love with it. Bilbao offers a vast selection of bridges, buildings, palaces and theatres. Travellers will find it very easy to get lost on these streets, where you're likely to find amazing architectural treasures -It's important to remember that Bilbao received the Lee Kuan Yew World City Prize in 2010. 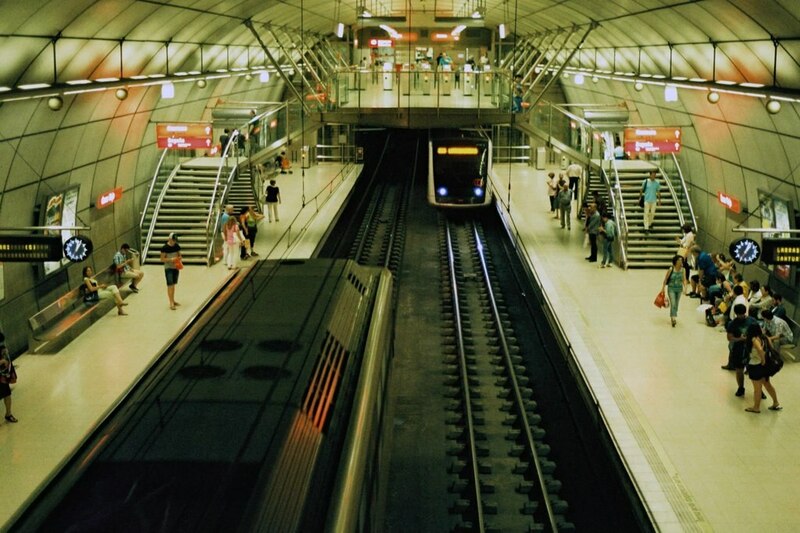 Bilbao has definitely left behind its industrial façade and has become one of the most modern towns in Spain, where almost everything is art (even the underground, which has been designed by British architect, Norman Foster). Those looking for the best contemporary art in town can't miss places such as the Guggenheim museum, designed by the great Frank Gehry (they will also be able to meet Puppy, a huge dog artwork made of steel and flowers) and La Alhóndiga, a multi-purpose venue that used to be a wine warehouse. Designed by French designer Philippe Starck, it offers a cinema multiplex, a fitness centre, a library, an auditorium, shops, and a restaurant with amazing views to the city. The next cultural stop is by the Nervión River, a meeting point for a good number of stylish bridges. From el Puente de Zubizuri by Santiago Calatrava to El Puente de la Salve, just next to the Guggenheim, this river walk is also another must-do when it comes to discovering Bilbao's soul. 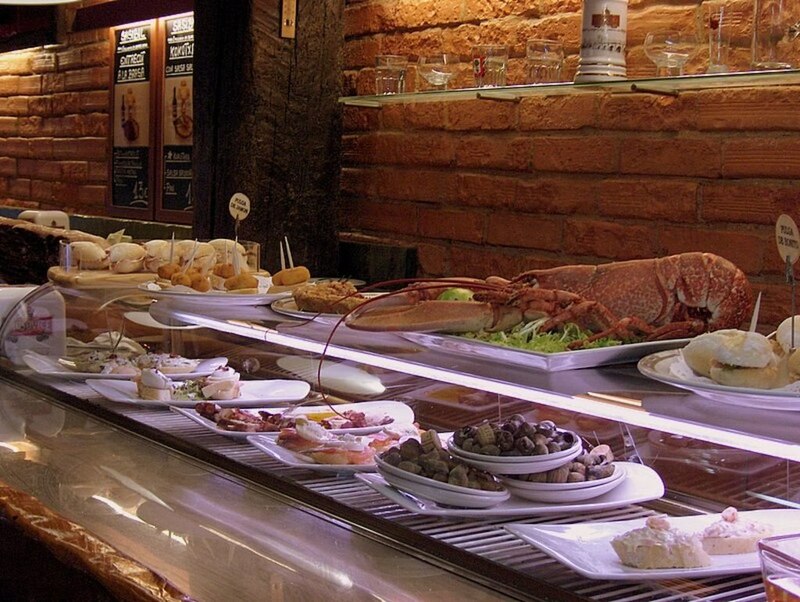 If you have decided to visit the city because of the pintxos (one of the most famous Basque Country identity symbols) don't feel guilty, as here you will find some of the best bars in Spain. The top venues to visit for good pintxos are based in the old town. Don't hesitate to pop in at Xukela, a very bilbaino narrow restaurant packed with vintage pictures that offers a wonderful menu with the best of the traditional Basque cuisine - people who have visited it especially recommend the boar' s head pintxo. Located near Plaza Moyua, visitors will find Amume (it means grandmother in the Basque language) which offers home-made dishes, following the old grandmothers' style. For those looking for a more vanguardist atmosphere, La Cepas will be a good option. It invites diners to try a creative kitchen at very affordable prices. 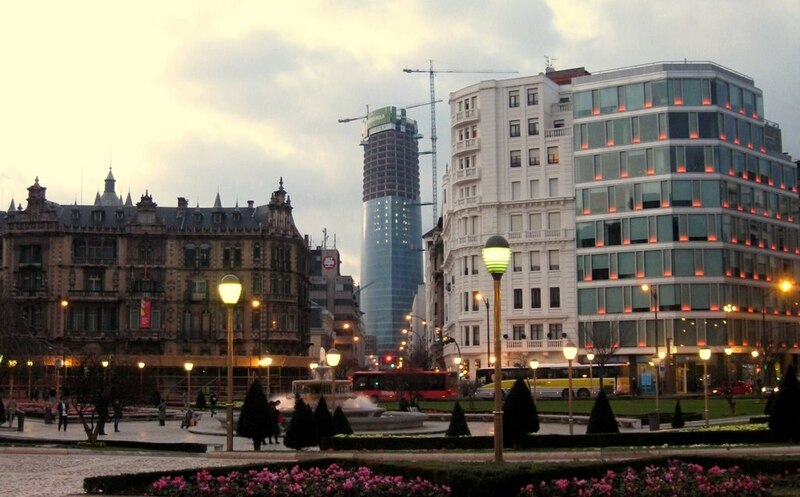 The main shopping mecca in Bilbao, for those looking for luxurious experiences, is La Gran Vía de López de Haro. These two scenarios offer shoppers expensive boutiques such as Louis Vuitton o Loewe. For any other alternative shopping, locals recommend to get lost across the Licenciado Poza area and the streets around Indautxu. One of the funniest and most unique shops in town is based just in front of La Bombonera: Almoneda Campos. This shop specialises in the sale and exhibition of retro-contemporary lamps and objects made by famous designers from the 60´s and 70´s. Have you ever been to Bilbao? Tell us your favourite thing about the city! Located in Abando, this luxury hotel is within a 10-minute walk of Dona Casilda Iturrizar Park, Guggenheim Museum Bilbao, and Bilbao Fine Arts Museum. Plaza Moyua and Zubizuri Bridge are also within 1 mi (2 km). The recently built Hesperia Bilbao hotel enjoys a convenient location in Bilbao right in front of La Ría (river inlet). The property stands close to the Guggenheim Museum, the old quarter and the main shopping and business area. The hotel has exterior rooms available, a restaurant, meeting facilities and a wide range of services including medical service upon request and its exclusive free wireless Internet connection system. The property is also an ideal spot for golf enthusiasts, as a golf course lies only a few kilometres from the hotel. Located in Abando, this hotel is within a 15-minute walk of Plaza del Sagrado Corazon, Bilbao Fine Arts Museum, and Plaza Moyua. Guggenheim Museum Bilbao and Zubizuri Bridge are also within 1 mi (2 km). Located in Abando, this spa hotel is within a 10-minute walk of Parroquia de San Vicente Martir de Abando and Plaza Moyua. Bilbao Fine Arts Museum and Zubizuri Bridge are also within 15 minutes. Located in Abando, this romantic hotel is steps from Bilbao Fine Arts Museum and Guggenheim Museum Bilbao. Plaza Moyua and Zubizuri Bridge are also within 1 mi (2 km).